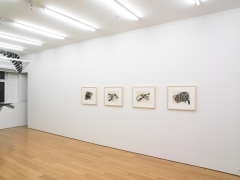 Alexander Gray Associates was pleased to announce Regina Silveira’s first exhibition with the Gallery. 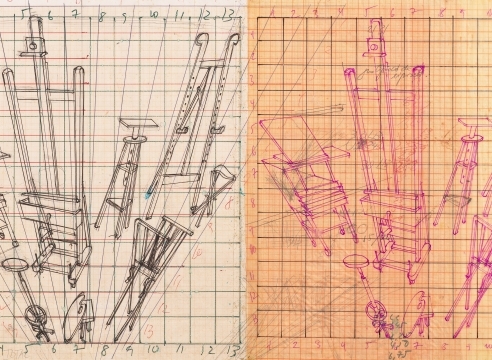 A key influencer in the development of Latin American contemporary art, Silveira has exhibited since the 1970s. 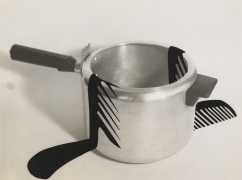 Through installation, sculpture, print and photography, she is renown for her parodic explorations of perspective and cast shadows. 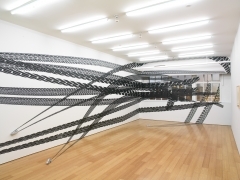 Silveira’s work is celebrated for its conceptual rigor and formal impact. Her art has considered the ephemeral nature of the sculptural object, dissolving space and time. 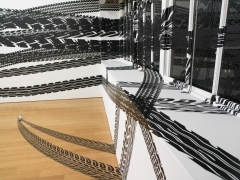 Utilizing technology and graphic manipulation, she has invented a formal language that has been manifested in- and outside of the gallery context, including large-scale public installations. 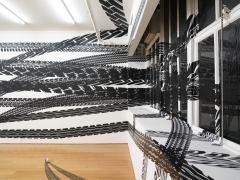 The exhibition featured one of Silveira’s signature cut-vinyl installations. 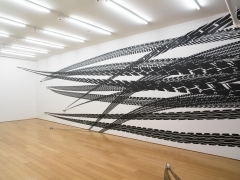 In Octopus (2009), the gallery’s walls, windows, floor and ceiling were covered with graphic tire tracks, creating an illusion of race cars that have driven into the gallery. 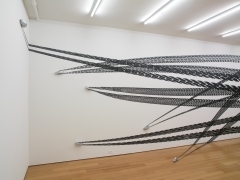 Playing with ideas of velocity, perspective, and trace remains, Silveira’s installation questioned the viewer’s relationship to architecture and public space, and the passage of time. In contrast to this large-scale landscape were a series of early photographic works, Enigmas (1981). 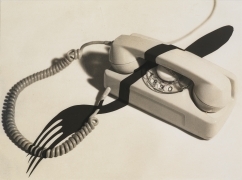 Among Silveira’s first explorations of composed shadows, these black and white works juxtapose images of everyday objects with shadows of tools and implements. 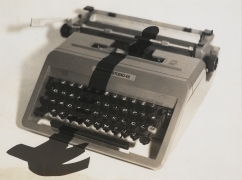 With a Duchampian flair, a dinner fork’s shadow is cast over a telephone; a hammer appears to be falling on a typewriter. 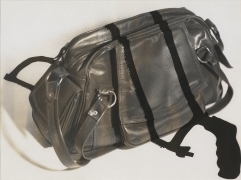 Motion is suspended, relationships between objects is questioned, and the tradition of the still-life is updated.